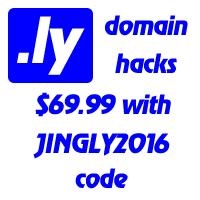 A new service created by Edo Segal of Futurity Ventures, Text.ly: your text delievered to his phone instantly. A demo can be seen on his personal page @ text.ly/edo. Public registrations are not opened yet, so we have to wait for the moment. Subscribe to this blog or this post's comments to stay updated.